Every month we’ll host family fun day for children and families with disability, with a different theme every month. This October we’ll be giving Z-arts a festival feel to celebrate the Big Imaginations Festival (19 October – 5 November). There will be activities throughout the building for the whole family to enjoy, including dance, music and visual arts. In November we’ll be taking over Z-arts with fantastic fairytale activities before the festive fun day in December. More details to be announced soon. Jump Space provides specialist Tram Space]polining, Rebound Therapy and Active/Sensory Play to children and young people across the whole spectrum of disability, and their siblings. As well as ongoing sessions for groups and individuals, they also host inclusive Birthday Parties, Toddler Sessions and Youth Clubs. 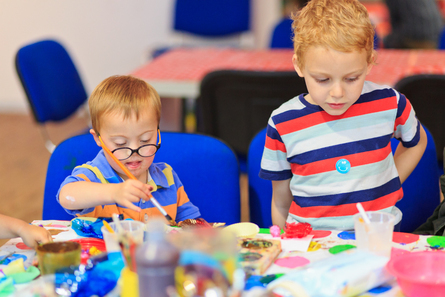 Manchester Art Gallery runs a series of Autism Friendly early open days for families who have an autistic member in them and would like to go enjoy their time in the gallery.